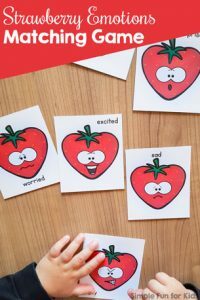 Have you seen my popular Strawberry Emotions Matching Game for Toddlers? Today’s Watermelon Emotions Matching Game goes perfectly with it! You could even use both together. Keep reading for some ideas! 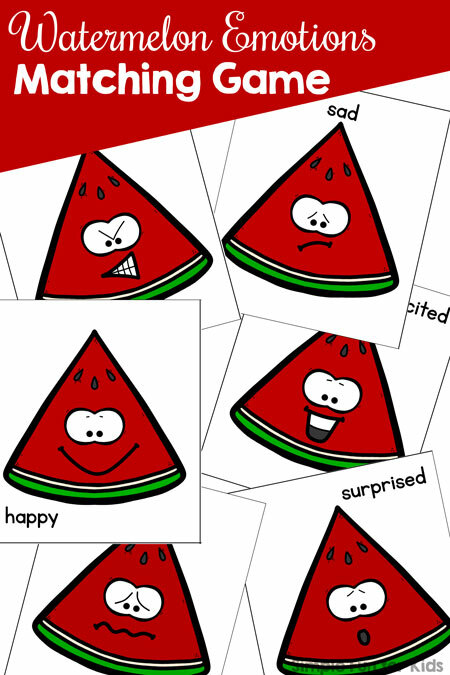 The file includes a page of six cards with slices of watermelon whose faces show six different emotions: excited, worried, angry, sad, happy, surprised. 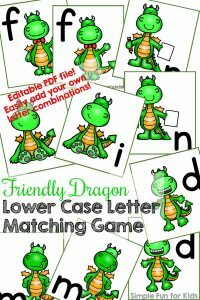 Or cut two copies of the cards apart for a simple matching game. 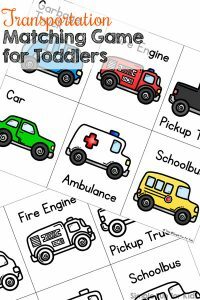 Once your kids have some experience with this type of game, you can add extra copies for a bigger challenge. If you have the Strawberry Emotions Matching Game as well, you could combine both sets for an even greater challenge. It requires your kids to look more closely at each card, depending on how you decide to play: You could match identical expressions regardless of whether it’s a strawberry or a watermelon OR match identical images only. Or call out a certain expression and ask your kid to pick out the matching card. 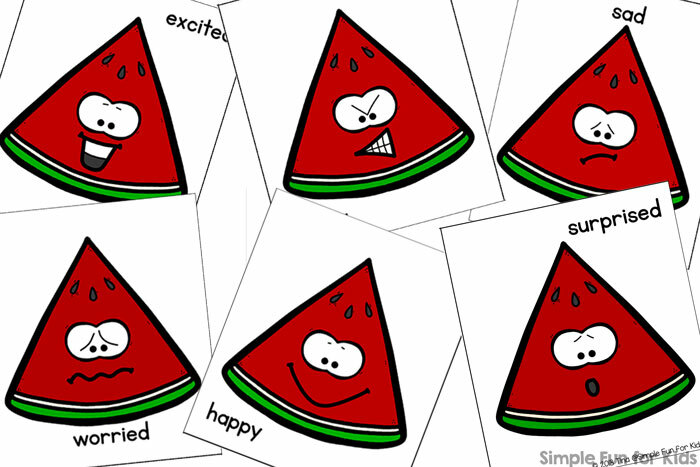 Download your free Watermelon Emotions Matching Game! Yes, I do (want the newsletter and the freebie)! Or click here to see this page on my membership site and become a VIP member today! The VIP file includes an exclusive black and white version. 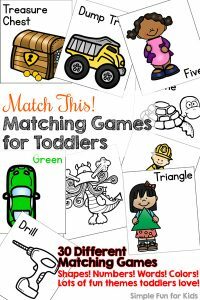 Are you looking for other simple matching games for toddlers? I’ve got you covered!